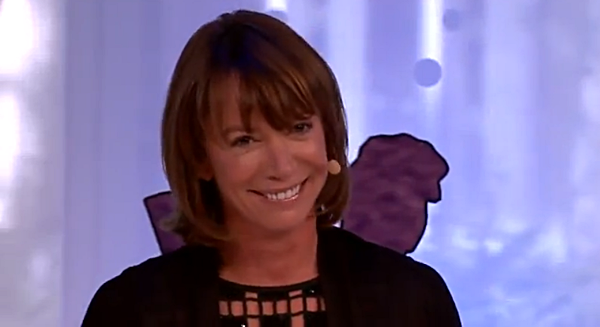 Janette Sadik-Khan at TEDCity2.0 this month. Image from TED video. People appreciate a great place in their guts. But they don’t always clap for it. They clap for stuff. As president of NACTO and architect of New York City’s historic embrace of protected bike lanes, outgoing NYC Transportation Commissioner Janette Sadik-Khan is a hero to people interested in using biking to make cities more prosperous, safe and efficient. But even she seemed surprised when, nine minutes into her new must-watch TED Talk about the city’s amazing rethinking of its streets as public spaces, the audience broke into its first spontaneous applause — for bike lanes. Obviously, the crowd at TEDCity2.0 was not your ordinary group of voters. But this brief, striking moment shows an interesting tension in the world of placemaking: places like the new human-friendly Times Square are easy to appreciate when you’re in them, but hard to get excited about when you’re not. Professionals, of course, can analyze the things that famously pleasant places don’t tend to have: fast-moving vehicles, for example, or seas of nearby auto parking. This is why good bike access is so useful in the world of placemaking. But people don’t experience the new Times Square as a place without cars. They experience it as Times Square. Happily, protected bike lanes are a part of placemaking that it’s easy to understand and talk about. They’re also something a broad majority of people support. For urban designers, part of the appeal of the “placemaking” concept is that it’s less controversial than some of the tools used by placemakers, protected bike lanes included. But when it comes to politics, it’s hard to create excitement, direction and a sense of success without having something specific to cheer for. 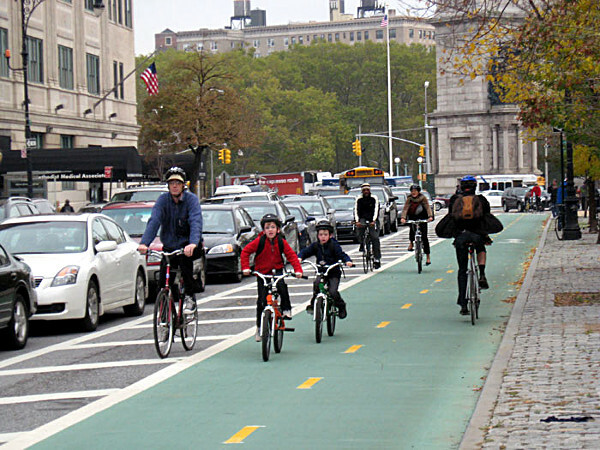 As Sadik-Khan and other American leaders are discovering, protected bike lanes are very easy to cheer for. Green lane idea of the day: People love great places, but they don’t clap for the idea of placemaking – they clap for projects. Thumnail of Sadik-Khan by Gary Kavanagh.